If Nora Twomey is pretending to have “never been into heels and dresses”, as she puts it, she’s doing a top notch job. 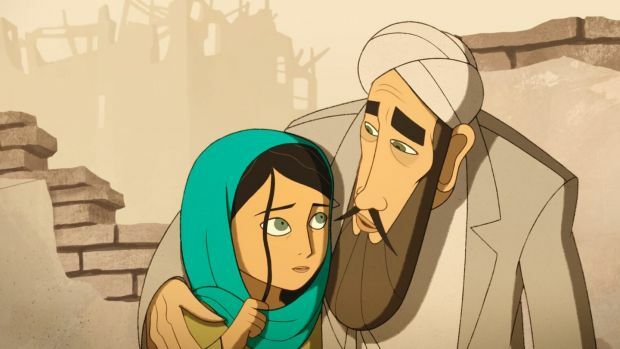 Having already walked the Academy Award red carpet in 2010 as the co-director of The Secret of Kells, the Cartoon Saloon animator entirely failed to use her 2018 Oscar nomination for The Breadwinner to secure a steady stream of big brand costumiers. It fell to the designer Laura Jayne Halton to call her up and drop the hint. She got lucky with her neighbours, too. The “incredible pendant” she wore on the night – three triangular agate druzes set in gold – was created by Rudolf Heltzel, the goldsmith-next-door to one of Cartoon Saloon’s Kilkenny premises. 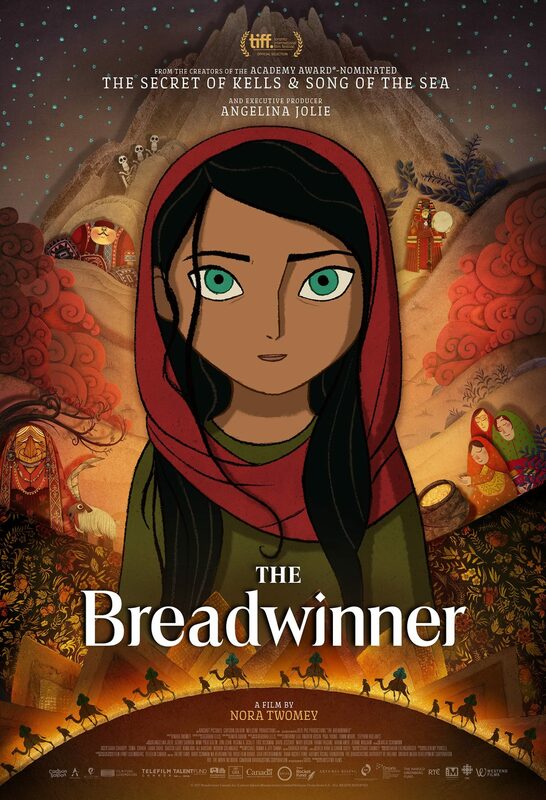 Based on Deborah Ellis’s YA novel of the same name, The Breadwinnerconcerns Parvana (voiced by Canadian newcomer Saara Chaudry), a plucky 11 year old growing up in Taliban-controlled Kabul. When her father, a former schoolteacher, is arrested, Parvana cuts her hair and dons the clothes of her deceased older brother Sulayman, so that she might pass as a boy and support her siblings and broken-hearted mother. 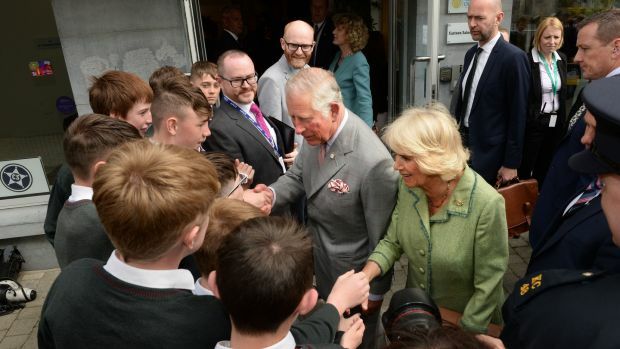 As Twomey notes, Ellis’s book has never been out of print since its initial run in 2000, and has several celebrity fans including the Duchess of Cornwall, who visited Cartoon Saloon with Prince Charles last year. Twomey was immediately taken with the character of Parvana and with the many possibilities of the deceptively simple story. In this spirit, Twomey enlisted the help of two younger consultants, her sons Oliver (10) and Patrick (8). Anti-war activist Deborah Ellis spent months in the Afghan refugee camps in Pakistan in order to create Parvana, a composite of several girls she met. Twomey continued that organic process. 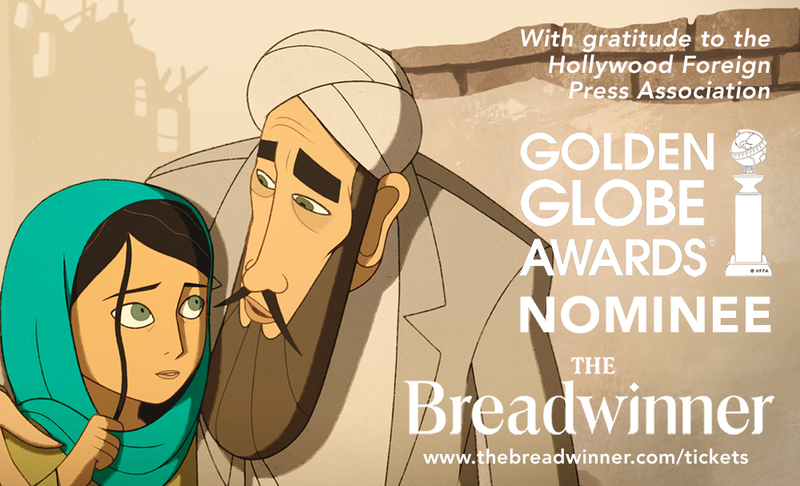 Although funding limited casting choices to an extent, at least half of The Breadwinner’s cast have Afghan heritage. The necessarily collaborative nature of animation ensured that details were continually bounced and questioned around the studio and beyond. The Breadwinner was lucky enough to land a rather well-known adviser. 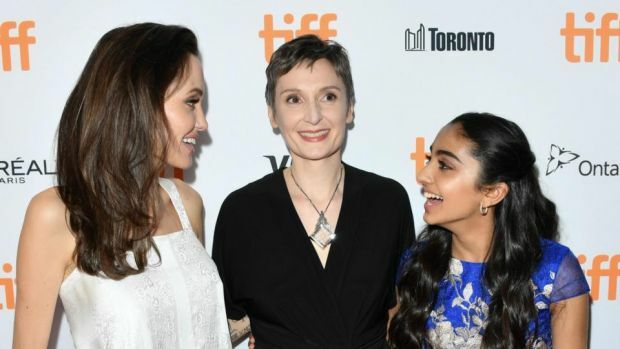 Early in production, Twomey got in touch with Angelina Jolie through mutual friends Jehane Noujaim and Karim Amer, the Egyptian filmmakers behind Oscar-nominated documentary The Square. Jolie, as a UN goodwill ambassador, has built schools for girls in Afghanistan, and was uniquely placed to talk Cartoon Saloon through Afghan culture, and to lend her not inconsiderable marketing clout as an executive producer. Jolie was more than a brand and brain to pick, insists Twomey. She listened to tapes during the casting process so that they might get closer to the “soul of the character”. She gave feedback on early designs and musical cues. She organised for Twomey to screen the film for the First Lady of Afghanistan and for an Afghan educator who also dressed as a boy in order to attend a secret school. The Cork-born film-maker is a huge fan of Jolie’s own directorial output. There’s Angelina Jolie, she says, and there’s Angelina Jolie. 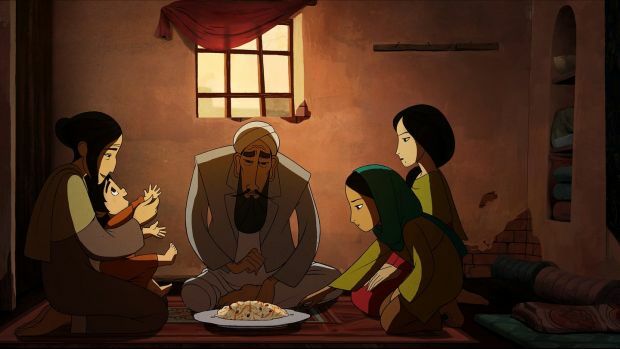 Aesthetically, The Breadwinner brings Cartoon Saloon full circle. 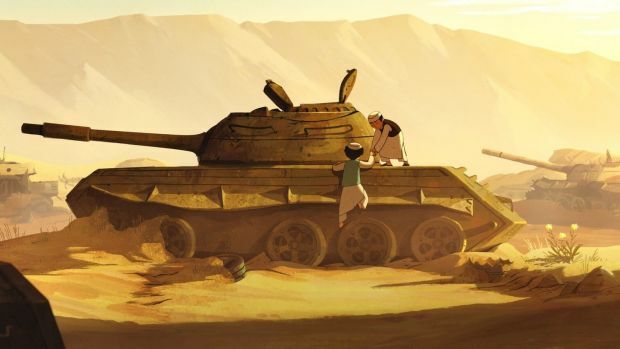 The studio’s first feature, The Secret of Kells, was heavily influenced by Richard Williams’s unfinished 1993 feature film, The Thief and the Cobbler, which, in turn, was influenced by Middle Eastern artworks. Reza Riahi, one of The Breadwinner’sart directors, studied Persian miniatures while designing the film alongside Ciaran Duffy. It’s a beautiful, textured animation. Last year, ahead of Twomey’s second Academy Award nomination, Varietynamed her as one of the 10 top animators to watch. Implausible as it sounds, we have blackened frozen vegetables to thank for Twomey’s glittering career and Hollywood connections. Her first job that paid a living wage, however, was in a vegetable factory, where she stared at the conveyer belt for three years. While Twomey kept an eye out for black bits, there were exciting developments in Ireland’s nascent animation sector. With an eye on new Irish tax incentives, former Disney animator Don Bluth and businessman Morris Sullivan founded Sullivan Bluth Studios near the Phoenix Park in 1985. At its peak, the studio, which produced The Secret of NIMH, An American Tail, and The Land Before Time, would employ some 300 people. Eventually, Sullivan Bluth helped set up the Ballyfermot College Animation Course to train prospective employees. Twomey had returned to education and was doing a foundation course in art at Cork city’s Coláiste Stiofáin Naofa when she heard other students talking about Ballyfermot. 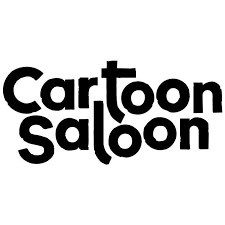 After graduating, Twomey worked at Brown Bag Films, the Dublin animation studio behind the Oscar-nominated shorts, Give Up Yer Aul Sins and Granny O’Grimm’s Sleeping Beauty, before leaving for Kilkenny to found Cartoon Saloon with fellow Ballyfermot alumni, Paul Young and Tomm Moore. 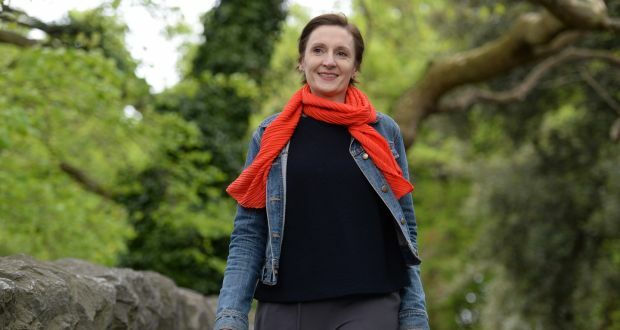 Her Cartoon Saloon co-founder Tomm Moore has noted that its burgeoning ranks has precipitated an increased demand for vegan and gluten-free foods around Kilkenny. The studio has long had an impact on the Marble City’s snack scene, notes Twomey. 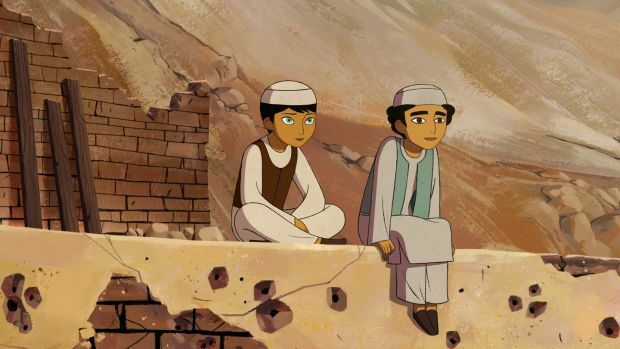 The Breadwinner marked Cartoon Saloon’s third trip to the Academy Awards. These days, in the aftermath of #MeToo and #OscarsSoWhite, the awards season is under rather more scrutiny than it was when The Secret of Kells(2010) and Song of the Sea (2015) received their Oscar nods. The animation sector is a noticeably more level playing field than live action. Five men and five women were attached to this year’s Academy Award nominations for Best Animated Feature Film, including Darla K. Anderson (Coco), Lori Forte (Ferdinand), Dorota Kobiela (Loving Vincent), Ramsey Naito (The Boss Baby), and, of course, Twomey (The Breadwinner). Forty seven women (other than actresses) were nominated at the 90th Academy Awards. Of these, only four won Oscars. Meanwhile, 151 men (other than actors) were nominated and 32 took home Oscars. Looking back over her earliest days in Brown Bag Films, Twomey recalls that, even back then, founders Cathal Gaffney and Darragh O’Connell maintained a great gender balance in the building. The live action sector will just have to catch up. Twomey was coming to the end of The Breadwinner’s four-year production in 2016 when she was diagnosed with breast cancer. Today, having just returned to Dublin from the Chinese premiere of The Breadwinner, her hair is growing back. Still, she’s understandably reluctant to use phrases like “all clear”.